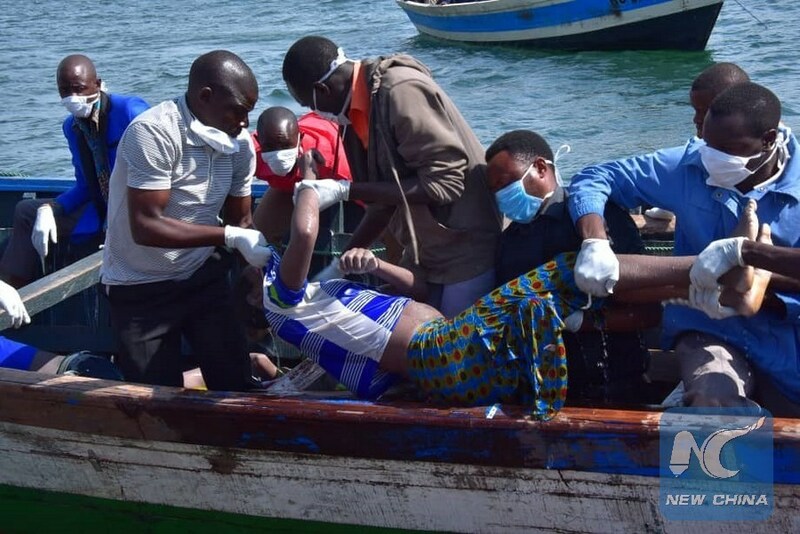 DAR ES SALAAM, Sept. 22 (Xinhua) -- One person was rescued on Saturday from a ferry that capsized in Lake Victoria in Tanzania on Thursday afternoon killing more than 150 people, said a senior government official. 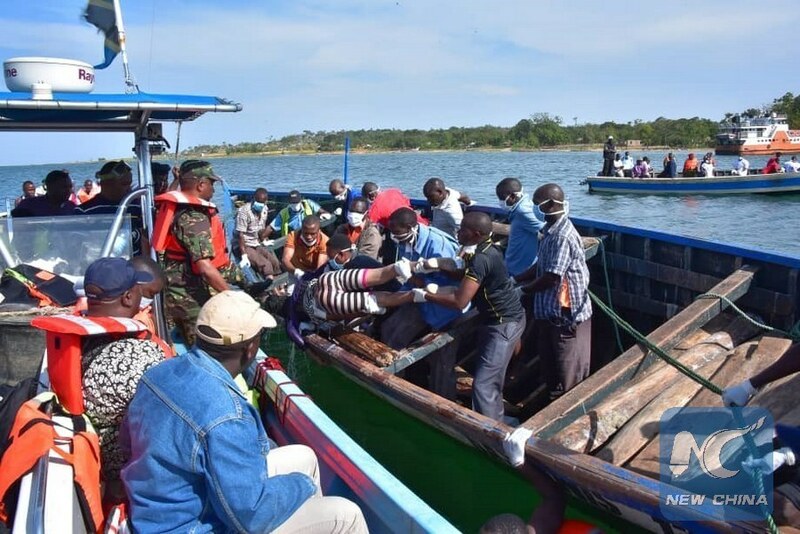 Isack Kamwelwe, the east African nation's Minister for Works, Transport and Communications, identified the rescued person as Alphonce Charahani, a ferry engineer who was among the passengers. "The person is in critical condition and doctors are fighting to save his life," Kamwelwe told Xinhua on phone. Earlier, Kamwelwe said the death toll of people killed after the ferry sank rose from 131 to 156 on Saturday morning. "We have recovered 25 more bodies this morning (Saturday morning) bringing to 156 the total number of recovered bodies until now," Kamwelwe told Xinhua on telephone. "Rescuers are continuing to search for more bodies," added the minister promising to give more updates. On Friday, Tanzanian President Magufuli announced a four-day mourning period for the victims of the ferry accident. According to sources, the ferry, with a capacity of 101 passengers and 25 tonnes of cargo, capsized at around 1 p.m. local time Thursday. Magufuli also ordered the arrest of safety inspectors from the country's transport regulator, the Surface and Marine Transport Regulatory Authority. Preliminary investigations showed that the state-owned ferry was overloaded and was being manned by someone who was not the authorized captain of the vessel. 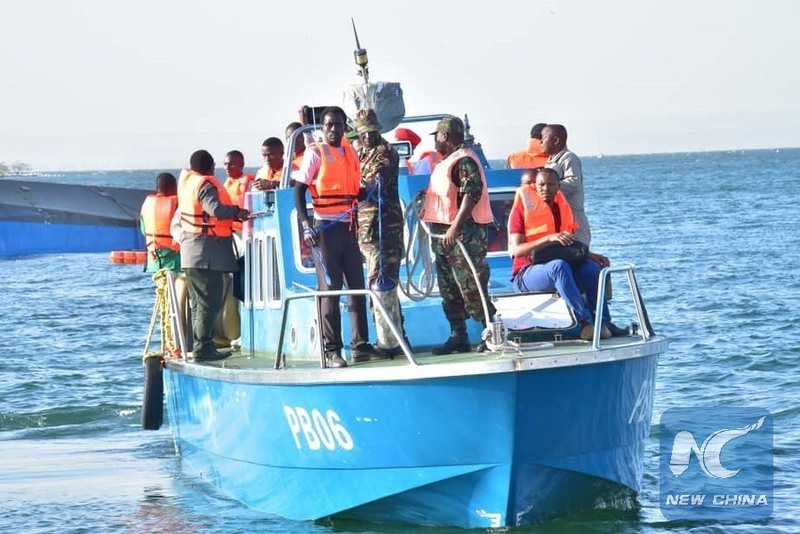 Magufuli directed Prime Minister Kassim Majaliwa and Minister for Works, Transport and Communications Kamwelwe to launch full investigations into the sinking of the ferry. Meanwhile, President Uhuru Kenyatta of Kenya and the country's opposition leader Raila Odinga sent condolence messages to the bereaved families of the ill-fated ferry. In a statement posted on his twitter page, President Kenyatta sent an emotional condolence message to Tanzanian President Magufuli and his fellow citizens. "No words can adequately express our grief following this tragic accident. My heart goes out to those who have lost their lives and their families. We, as your neighbor, are deeply heartbroken by what happened," said President Kenyatta. Rwandan President Paul Kagame also sent a message of condolence to families of victims of the ferry accident. "Our deepest condolences to the families and loved ones of the victims of the Lake Victoria ferry accident. Our thoughts are with you. We cannot thank the rescuers enough," Kagame said in a tweet. The last major ferry accident on Lake Victoria occurred in 1996 in the same region, killingat least 500 people.